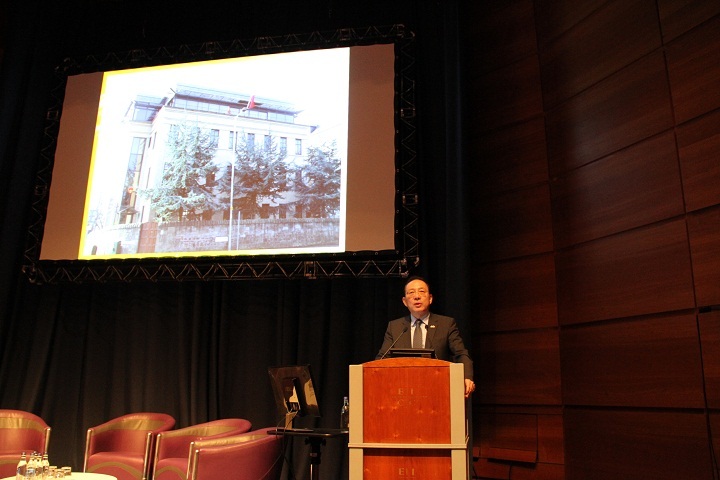 Consul General Pan began by extending warm congratulations on the opening of the Conference, and commending the ETAG for its effort to facilitate the growth of China-Scotland relations. He said that the two sides continued to deepen friendship with many highlights in recent years. Firstly, China and Scotland have maintained close high level official contacts, including Chinese Premier Madam Liu Yandong who had a successful visit to Scotland and the current FM Nicolas Sturgeon who had visited China twice. Secondly, trade and investment are other bright spots. China has already become Scotland's forth largest exporting country and second biggest importing nation. Chinese investment increased presence in Scotland including energy, chemical engineering, automobile, tourism, retailing and game industry. Thirdly, educational and cultural exchanges and collaboration remain dynamic. 5 Confucius Institutes and 44 Confucius Hubs have been established in Scotland with China being the biggest source of foreign students studying here. Scottish Government provided a￡750,000 fund to support Scottish students to study and live in China. The relations of two sides enjoy a strong foundation and the anticipated upcoming Beijing-Edinburgh direct air route will provide a new impetus to the enhancement of the relationship which embraces a promising future. 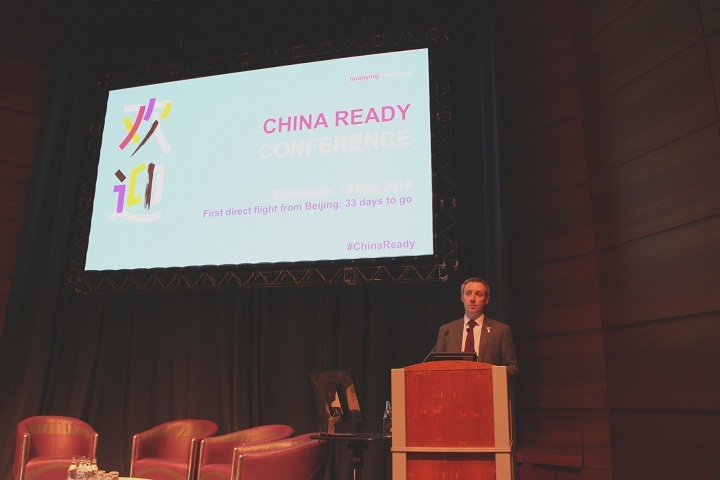 The head of China Ready program Rob Lang, chief executive of Edinburgh Airport Gordon Dewar and other distinguished guests appreciated the strong support from Chinese Consulate General to China Ready initiative and to the establishment of the direct air route. 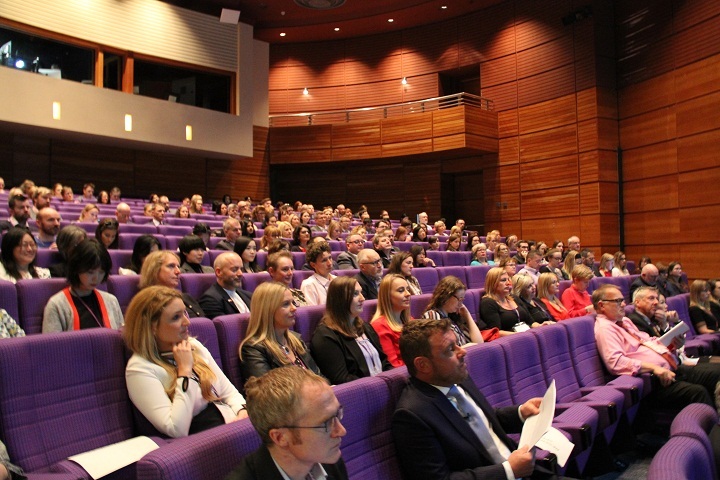 They said, the original aspiration of setting up this program was to attract more Chinese tourists to Scotland. However, the organization gradually realized the huge potential of Chinese market in broad area. 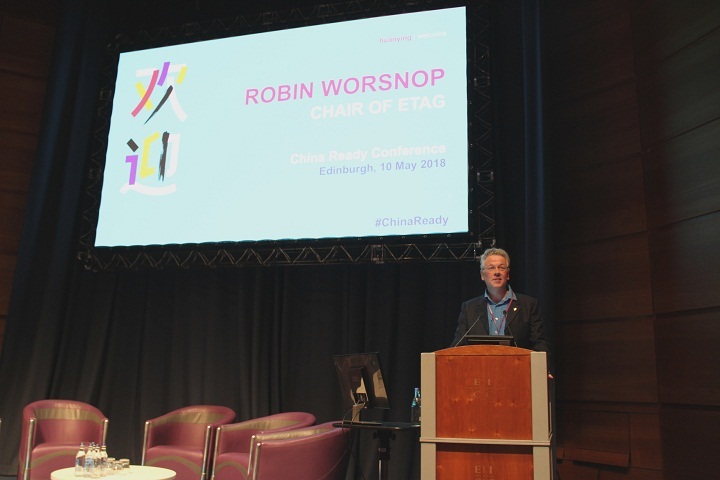 They hoped that with the joint effort from Scottish society, exchanges and cooperation of the two sides would cover more areas and win-win results would be achieved. Meanwhile, they looked forward to the establishment of more direct flights between China and Scotland.